Babies are full of surprises. And no one is more aware of that fact than Jenny Saffran, a UW-Madison professor of psychology. Saffran has tested 1,500 babies a year since the Infant Learning Lab at the Waisman Center opened in 1998. The focus of her lab is to study how infants develop cognitively and in particular, how they acquire language. Understanding the extraordinary learning abilities infants possess, Saffran says, will help us to move beyond nature versus nurture to a better understanding of how our learning systems interact with the complexities of human environments. Saffran has demonstrated that infants use statistical learning, or the practice of detecting consistent patterns in sounds, as a foundation for learning language. About two-thirds of her research is with typically developing babies trying to figure out how they learn their native language. The remaining one-third of her time is spent using the same methods to try to understand language learning in infants and young children who have developmental disabilities. Saffran is one of three primary investigators for The Little Listeners Project, a research study focused on early language comprehension in young children, including toddlers who have autism spectrum disorder (ASD). This project is funded by a grant from the National Institutes of Health. Language and communication delays are one of the hallmarks and earliest signs of ASD. Although a great deal of research has focused on overall language abilities in children with ASD, we know very little about how these children understand language in real time, as they are hearing it—something referred to as language processing. Understanding how children with ASD comprehend language in real time is important because this is a skill they use all the time in their daily lives. This study is being done in collaboration with her colleagues in the Department of Communication Sciences and Disorders. Her laboratory employs a variety of experimental approaches including eye-tracking. This is a powerful method because it measures children’s language comprehension implicitly, without asking them to push a button or answer a question verbally. The eyetracker is able to record exactly which part of the screen the infant is looking at throughout the experiment and which images they pay the most attention to. Saffran’s work has wide ranging implications and embodies the Wisconsin Idea – that education should influence people’s lives beyond the boundaries of the classroom. For children with developmental disabilities for whom language development is more challenging, Saffran hopes to uncover paths that parents might take to communicate better with their children, and to help children to communicate better with their parents by remediating some of the setbacks children face. Saffran’s interest in babies began as a teenager growing up on the East Coast. When she was in high school she joined a program to earn science credits by volunteering in a lab. Her neighbor, for whom she babysat, ran a lab that studied infant cognition and language. Saffran then went to college and “flirted with 20 different majors,” but in the end came back to those questions. 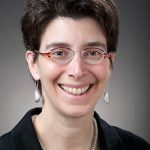 Saffran joined the UW-Madison Department of Psychology faculty in 1997 after earning her Ph.D. from the University of Rochester. Saffran’s children attended pre-school at the Waisman Center, an inclusion program where children with developmental disabilities learn and play together with typically-developing children, and she said touring the preschool was one of the things that convinced her to come to work at the UW. Saffran said she was also attracted to UW-Madison because it is a public university. Saffran has dedicated much of her time to service on campus and currently chairs a committee for the Dean of Letters and Sciences on excellence in teaching and learning, charged with coming up with creative ideas to enhance the student learning experience on campus. She also runs the Psychology Department’s Honors Program and has chaired the Chancellor’s teaching award committee. She is a mentor and says it is one of the most important parts of her job, but is also the part of her job that keeps her awake at night, worrying about how she can help her students land their dream jobs in an economic climate that does not make that easy. Saffran says she loves sharing her knowledge with her undergraduate students and that they play a key role in her lab work, helping by doing research. She teaches courses ranging from first-year undergraduate seminars to large lecture courses and advanced graduate seminars. Every year Saffran has a couple of students who do their senior honors thesis with her. For her work in research and teaching, Saffran has received numerous awards. 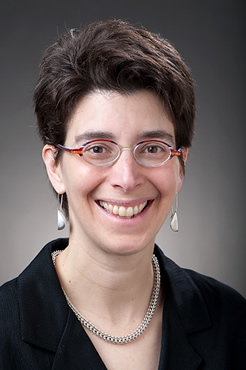 Earlier this year Saffran was awarded a Kellett Mid-Career Faculty Researcher Award. The Kellett awards recognize outstanding faculty seven to 20 years past their first promotion to a tenured position. She says she likes to think that somewhere in one of her classes is the future governor of Wisconsin. She also knows many of the students in her classes will be parents someday. And that brings her back to babies. A topic that, like parenting, she knows very well.